The Gamesley Youth Gatherings Easter Funday took place on Saturday 13th April. Many thanks to the folks from GYGS who arranged the event, and Captain Silly from First Step Events who provided the entertainment and face painting. This evening (29th November) saw the Gamesley Christmas Market. The market featured performances from Gamesley Community Primary School and St Margaret’s / All Saints Federation. The market also had real reindeers, a range of stalls, face painting, a visit from santa, and the lighting of the community Christmas tree. Earlier this year during the first week of August some events took place on Gamesley to celebrate 50 years since the estate part of Gamesley was built. Although some elements of events to celebrate the anniversary had been some weeks in the making, there were two key events during a week of celebrations, one involving bingo, the other a rodeo bull. The first of these events was a themed bingo night, with a singer and 60’s style drink including Cherry B’s, Babysham and Snowballs. Following on from that on the Wednesday was the usual ‘meet the neighbours’ event, which obviously this year was themed for celebrating the 50th Anniversary of the Gamesley estate. The event featured a live band, stalls, afternoon tea, rides and the all-important rodeo bull which was a favoured attraction from the previous year. In addition to the event, there was a display of images and news paper clippings from across the years, along with a collection of videos, and a sound post containing voices from other the years on Gamesley. 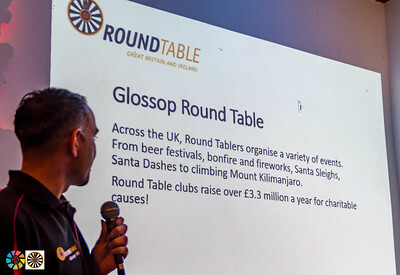 Town Hall Sessions : This year’s August Bank Holiday saw a new venture take place in Glossop. Aimed at highlighting the work that the Glossopdale Trust is doing with the Bureau and High Peak Borough Council to restore and rejuvenate the Glossop Town Hall complex of buildings, it essentially saw the Bankswood Festival transferred to Norfolk Square with the addition of music at 7 other venues across Glossop and Old Glossop in the evenings. Starting off on Friday there was music at 6 venues (Harvey Leonard, The Friendship, The Globe, The Oakwood, The Commercial and the Queens). Saturday saw the main stage take over​ Norfolk Square with a great line of acts. The evening of Day 2,​ saw music at 7 venues across Glossop and Old Glossop – I was able to capture proceedings at 5 of them. A great few days of local music, and quite a lot of folk taking an interest in the proposals for the Town Hall, now the interesting thing for next year – hopefully as well as a return to Bankswood, there is enough room to be able to extend things to include at least a day of the Town Hall sessions back in Norfolk Square.